UCP of Long Island is pleased to offer attractive, printed cards “In Honor of” or “In Memory of” a loved one or friend. The suggested minimum donation is $10 per tribute. 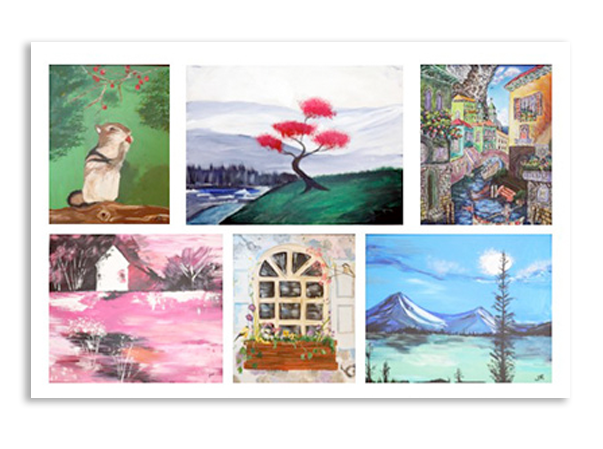 Packages of 12 note cards (4½” x 6¼” cards with envelopes) replicate six original paintings created by artists with disabilities that are enrolled in our Brushstrokes Program. Every package contains two cards for each painting. Cards sell for $15 per set. An automobile that you no longer need or use can be donated to UCP of Long Island, yielding a legal charitable tax deduction for you, and a cash profit to UCP. Vehicles will be picked up at NO COST to the donor. To get specific details regarding your car and arrange pick-up, call 1-877-UCP-CAR1 (1-877-827-2271) and please be sure to mention UCP of Long Island.